I’ve been answering a lot of questions on Team Foundation Server reporting over the last couple of weeks so I thought I’d put some of that information in a blog post. Team Foundation Server is an amazing tool for storing information about your development projects and all that information can be retrieved if you know what the options are. 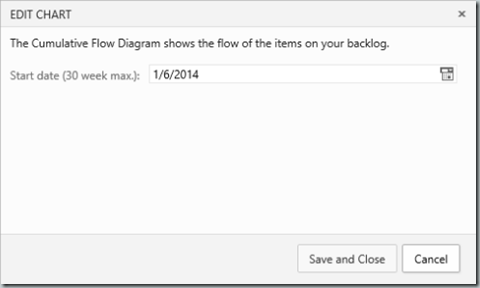 How does data flow in TFS? In a nutshell, when you work as normal in TFS - checking in source code, executing builds, running tests and completing work - all that information is being stored in transactional, operational stores within the Team Project Collection database (there is a separate collection database for each Team Project Collection that you create). These stores are designed to provide high transaction speed and data integrity in normalised tables meaning data isn’t duplicated. As a result, it’s not very easy to work with these tables, it’s difficult to know which tables to use to get the data you want and queries can be slow because of all the joins required. Tfs_Warehouse has a schema that is much easier to understand because it is optimised for queries and reporting instead of transactions. Additionally, this database can be on a completely different server so queries won’t slow down TFS. The data warehouse is organised in a star-like schema into fact tables and dimension tables. Finally, and every 2 hours by default, an Online Analytical Processing (OLAP) database (Tfs_Analysis) is populated to allow easy reporting on that information and this is where most of the standard reports will pull their data from. What types of reporting are available in TFS? 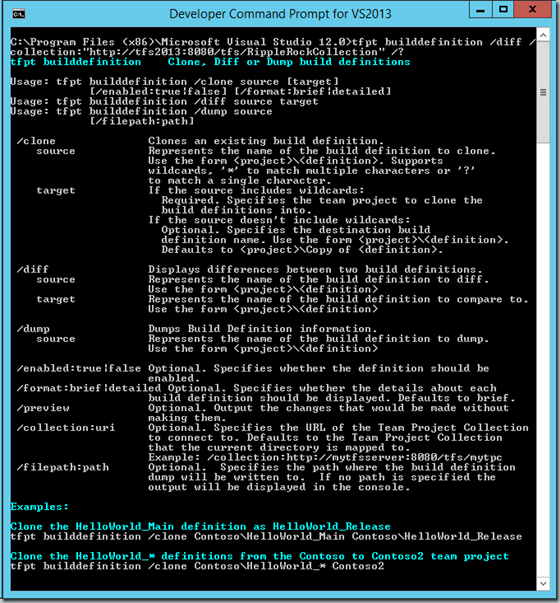 Work Item queries are probably the simplest way of pulling information from TFS. The data retrieved is always up to date as queries do not rely on the data warehouse. TFS will generate a workbook with a number of reports on separate worksheets and a table of contents. You are free to customise any of these reports and save the result for later use. Depending on your chosen process template, and if you have installed SharePoint as part of your TFS deployment then you may have access to a number of standard Excel reports. They can be accessed through the SharePoint portal or from the Documents tab in Team Explorer. Here is the Task Progress report as an example. Again, depending on your chosen process template (and assuming you have installed Reporting Services) then you will have access to a number of reports automatically when you create your Team Project. They can be accessed via Web Access, SharePoint and Team Explorer. To view the reports, you must be assigned or belong to a group that has been assigned the Browser role in SQL Server Reporting Services. For more information, see Grant permissions to view or create reports in TFS. You can view charts with a Standard TFS Client Access License but to create them you must have a Full license which means Visual Studio Premium, Ultimate or Test Professional. See more about Access Levels for Team Web Access here. Team Web Access has some useful reports which can be accessed very easily. The reports are non-customisable but the good thing about them is that they do not rely on the data warehouse cube so they are never out of date. The Velocity diagram shows the number of Story Points (or whatever unit you are using to estimate User Stories/Backlog Items) scheduled and completed across iterations. This will help with forecasting and release planning for your project. TFS 2013 Update 2 adds the ability to specify a start date for your CFD which can be very useful if you have a long running project. Now you get into some proper custom reporting. 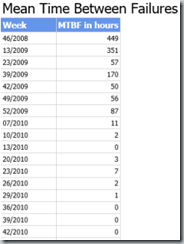 I still feel that the Work Item Query Reports covered earlier in the article are the easiest way to get started with Excel but you can connect to the Analysis Database manually if you like. If you have a SQL Server Reporting Services expert on your team then they may prefer to generate a report that way. The benefit of using SSRS is that the report can be published to Team Foundation Server and it will be available alongside the OOB Reports in the Reports tab of Team Explorer or the Reports website. It also allows for much more detailed reports than excel and allows you to plot multiple data points on the same report. Both report authoring tools can target Tfs_Analysis and Tfs_Warehouse although you may find Report Designer more complex to begin with. You can view a comparison of the two tools here. If you create a custom report then you may want to add it to your Process Template so it is automatically available for any new projects created. 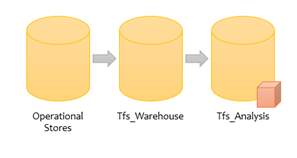 The TFS Reporting Guide is generally a good resource for TFS reporting but it has some good examples of running T-SQL queries directly against the TFS Data Warehouse relational database. For example, check out the Mean Time Between Failure (MTBF) Report which uses the CurrentWorkItemView to retrieve the current state of each work item from the dimension table. The sample query fetches all Work Items of type Bug that are in a Closed state in the chosen Team Project and calculates the average time difference in hours between them. One of the great things about TFS has always been it’s customisability and there has always been a reasonably well documented API for pushing and pulling information to/from TFS. 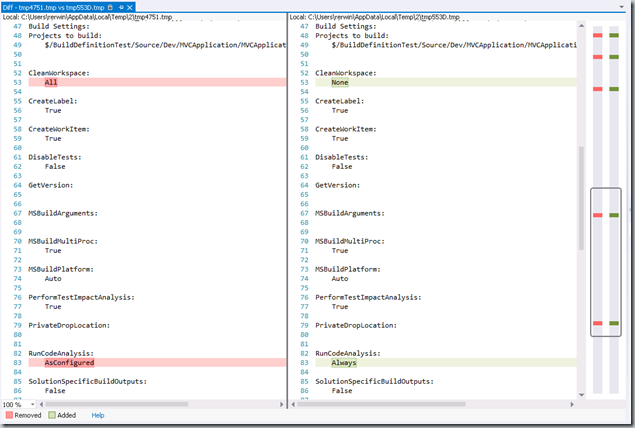 For example you can create a TFS Work Item with about 3 lines of C# code. You can also use the TFS API to create reports in a supported way. If you have a look at the WCF Service sample for a Build Duration Report in the TFS Reporting Guide Data Warehouse section. 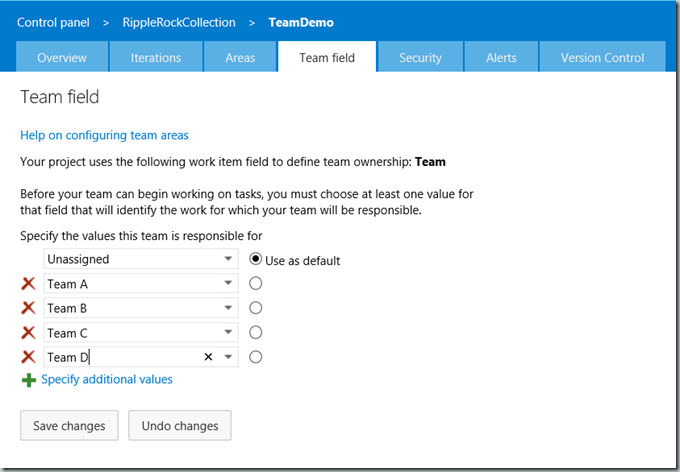 You’ll need to become familiar with Extending Team Foundation too. 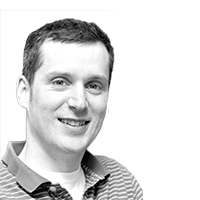 A little while ago an OData Service was released for TFS to allow clients to be created for smartphones, tablets and non-Windows operating systems as long as they supported http requests. 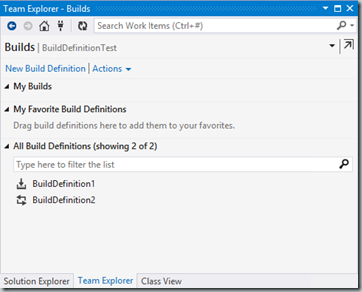 This has now been enhanced as described in A new API for Visual Studio Online. However, at this stage this API is only available for Visual Studio Online but it will likely be available for on-premise installations in the next version of TFS. What permissions do I need to view and create reports? What is the permission needed to view and create a Excel report for TFS Analysis Services cube? If you prefer to use Report Builder to edit or add Reporting Services Reports then it is slightly different, you’d need to have your account added to the Content Manager role for Reporting Services. I’m using Microsoft Test Manager with the Visual Studio Scrum template and the OOB reports are lacking. What can I do? which gives a lot more information on custom excel reporting. Are there metrics associated with Builds and Continuous Integration and can we access historic build success ratios and failures etc.? There is a full build log with diagnostics available for all builds (you can set a retention policy on them) and also the information is published to the data warehouse. There are OOB reports (Build Summary, Build Success over Time) and options for custom reporting as discussed above. 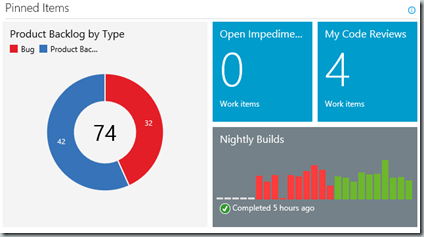 See Analyze and report on build details and build coverage using the Build perspective for more detail. 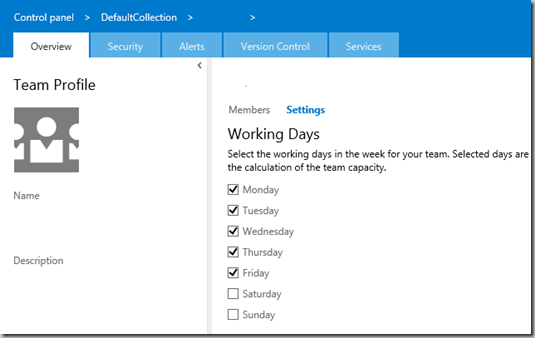 Check your account permissions, review log files and rebuild the warehouse. No problem, get them installed, start generating your reports or sharing your Excel workbooks with your colleagues. Hopefully someone will find this post useful and I know I am likely to redistribute a lot of the information within it in the future. You can see that there are many options for pulling data and generating reports from Team Foundation Server and you just need to figure out which best suits your needs.